Last weekend boat yards all across Lake Michigan were busy with people getting ready their boats ready for spring. Only one more month and Donnybrook will be back at Belmont Harbor! This weekend was busy. I repaired an exhaust leak, removed the rear water tank, did some train watching, and went to the beach! Saturday afternoon was spent on Donnybrook repairing a minor exhaust leak. There was some wobble where the exhaust riser goes into the exhaust flange on Donnybrook's Universal M25XP diesel. I removed the exhaust riser (similar to a header on a car) and flange and rebedded the threads. This time I put the flange in a vice and tightened the riser an extra full turn. That removed the wobble. The procedure with pictures is here, on the C34ia site. Aft space with rear water tank removed. Am I done? Probably not. The exhaust riser has a finite life span. The hot exhaust gas and water create a caustic mixture that eats the welds. Based on what is written on the C34ia message board and email correspondence with Catalina, it's a matter of when, not if, it'll fail. The worrier in me envisions a weld breaking at the worst conceivable time spraying hot water and exhaust gases inside the engine room. Time to replace. 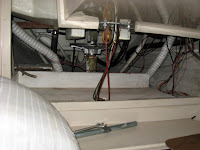 I'll remove and ship to Catalina so they can fabricate a new one next time I visit the boat. The next project was to remove the rear water tank and figure out if it can be repaired. I found the necessary slack in the wiring to move the tank. I only had to disconnect the shift cable to free it. I'll explore options to repair and report back here. to the right. An Amtrak train is on the bridge. What did we do Sunday? We visited the Canal Street Lift bridge! My boys love trains. I liked them when little, but didn't have the exposure growing up in Southern Indiana that my boys do living in Chicago. Now I get nearly as excited seeing trains up close as they do. 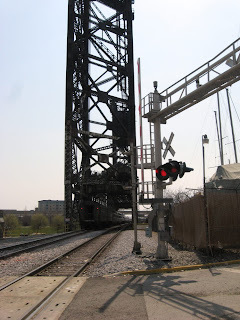 It relates to Donnybrook and cruising because this is a bridge she passed under many times to and from the old Crowley's (near Archer and Halsted) and is similar to lift bridges around the great lakes. It is next to the Canal Street Marina and Boat Yard where many sailboats are stored. 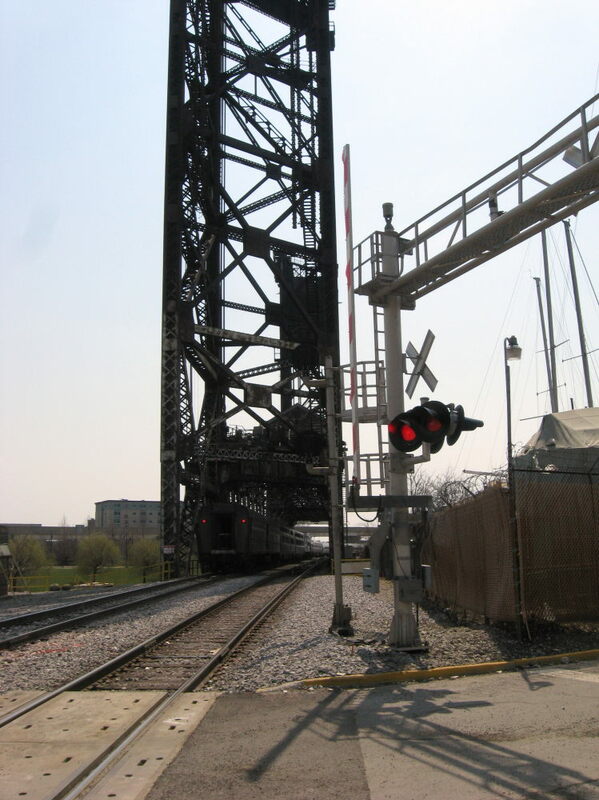 The Canal Street railroad bridge is at the south end of the Amtrak/Metra Chicago Union Station Yard. It is now a historic Chicago Landmark, officially known as the Pennsylvania Railroad Bridge, near 19th street East of Lumber street. From Wikipedia, it was built in 1914 and provides 130 feet of clearance from the river below. At its peak in 1916, it was raised and lowered 75 times for ship traffic and carried 300 trains, daily! What do you do in Chicago when it's 88 degrees? If you can't go out on the cool Lake Michigan waters in a boat, you go to the beach! 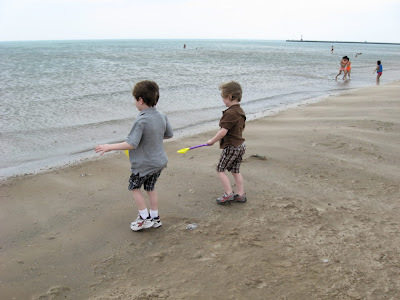 Sunday after visiting the lift bridge I took Conor and Emmet to Montrose Beach. It was WINDY out of the west, gusts at the Harrison-Dever crib were 30+ knots. Surprisingly, there were several people in the water! Conor ended up up to his knees. I went in to my knees and it didn't seem too bad. Even a couple of adults were swimming. If I was wearing a swim suit I probably would have gone all the way in, just to say I went swimming in Lake Michigan in April. All in all, it was a fantastic early spring weekend. Boys at the beach. Notice the wind-blown sand in the 25+ knot gusts. I think your boat work is good. 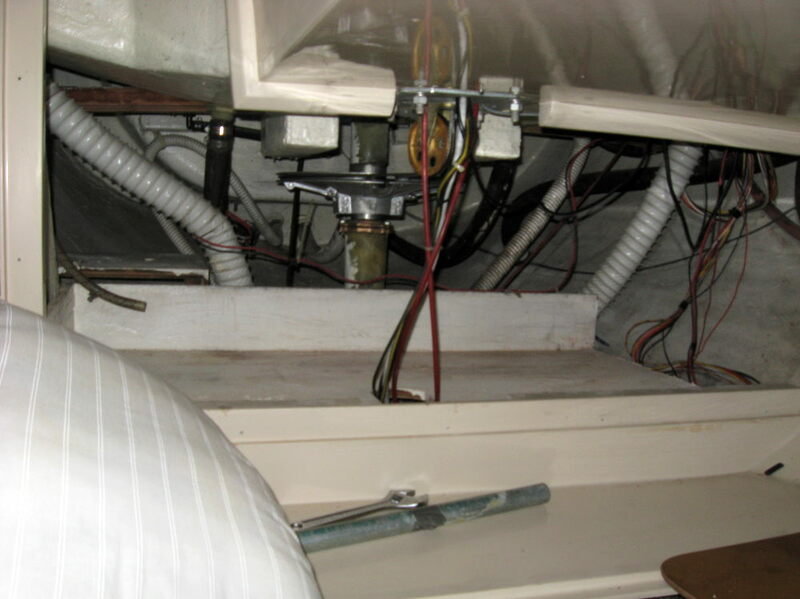 I want the best boat repair services for my boats. So I am surfing for the best services.